I have so many photos to share from our southern California vacation, but I decided to start with the last day in San Diego and a few hours before Dylan caught the red eye back to Orlando. After a fun filled day, we hit up the last stop. Torrey Pines beach, just north of San Diego. Truthfully, the timing could not have been more perfect as the sun was approaching the horizon. We took a great hike that was perfectly timed to the sunset. What a place! Happy SWF! Gorgeous shots! Love the first one with the lifeguard tower. We love this beach! We often go to the Glider Field up on those bluffs to watch the hang-gliders come and go...you picked a wonderful time to be on a California beach. Your series is extra beautiful! 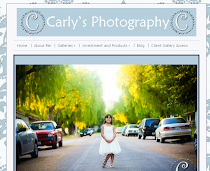 Gorgeous series, Carly! Love the beach and the water shots! Looks like a fun time was had by all!!! Hope you have a great weekend! Thanks you for your visit/comment, always appreciated!! Very nice series. Great sunset light. It is a beautiful beach, great photos! Love the sunset and the reflection! No life guards, the beach is closed for swimming? I was just near Newport Beach and found that golden sunset light to be just lovely as your photos attest. Are you going from a FL beach to a CA beach? Which do you like best? I have relatives in Sarasota but do enjoy the Pacific. These photos are just breathtaking! Happy Weekend Reflections. The golden light is somehow comforting. These photos are great! Beautiful shots! This place brings back great memories. I lived most of my life less that 75 miles from here and I spent a whole month at The Lodge at Torrey Pines. I love this area! Wonderful photos with fantastic lightning and colours!